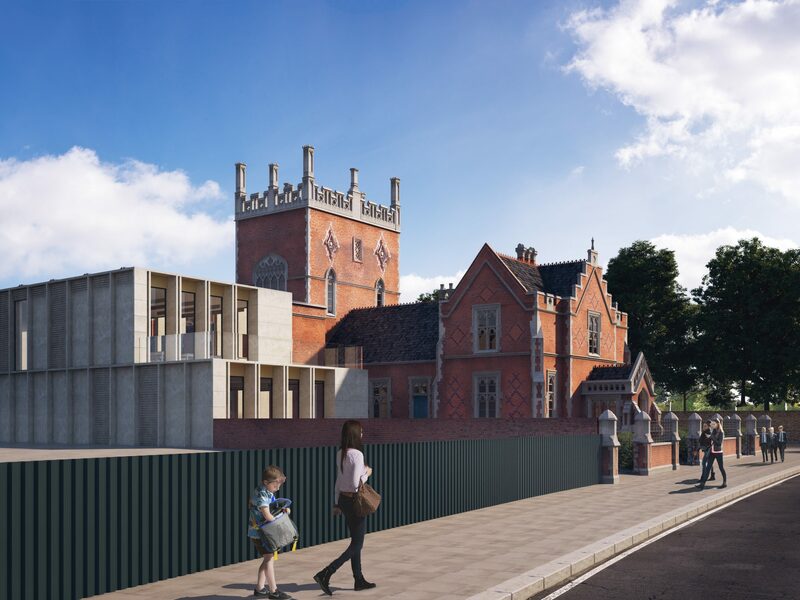 Plans are being developed to fully restore the historic Castle Club school, incorporating modern facilities which unite contemporary and historic design. 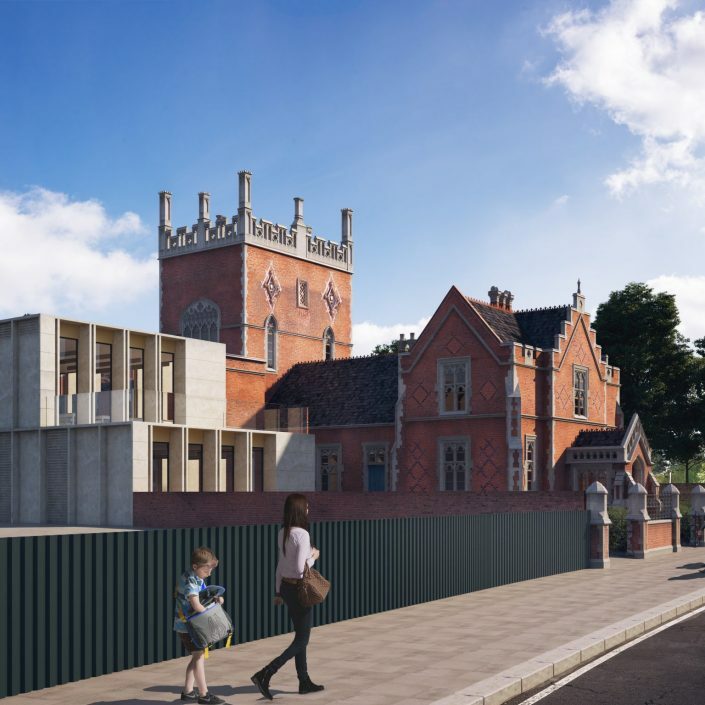 Originally founded as a “ragged school” in 1855, the historic Grade II listed building is located within the Hurlingham Conservation Area in Parsons Green, and has fallen into a state of disrepair over the years following diverse uses including as a school, youth club and in the last decade as a residential dwelling. 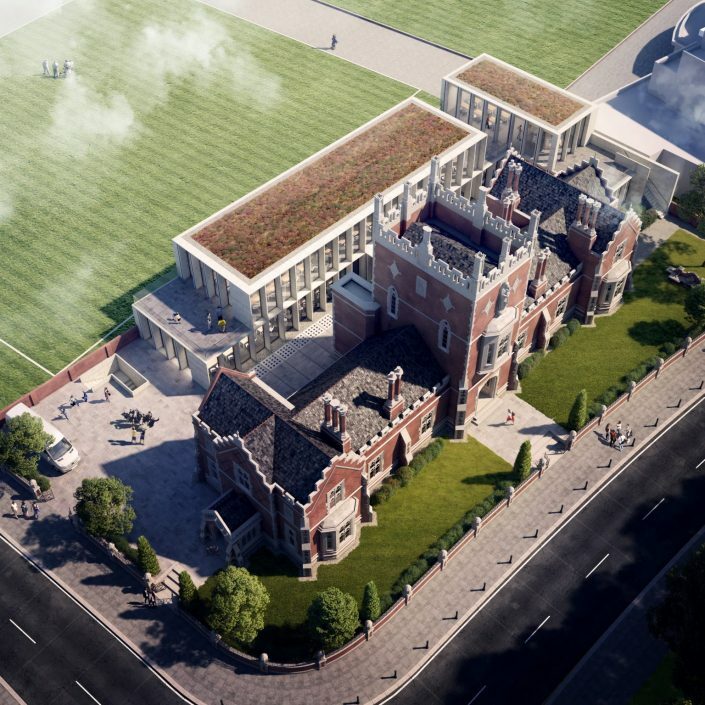 In order to save the Castle Club from slipping further into dilapidation, Darling Associates and The Thackery Estate had to ensure that the scheme was financially viable and catered to the criteria required to deliver a contemporary educational institution. 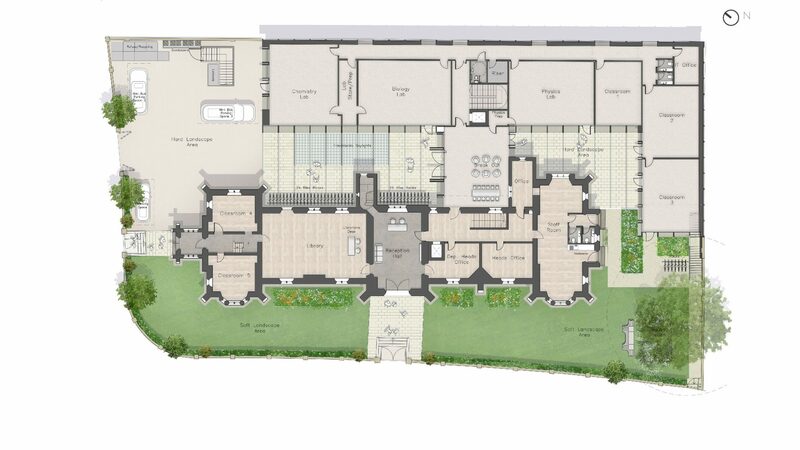 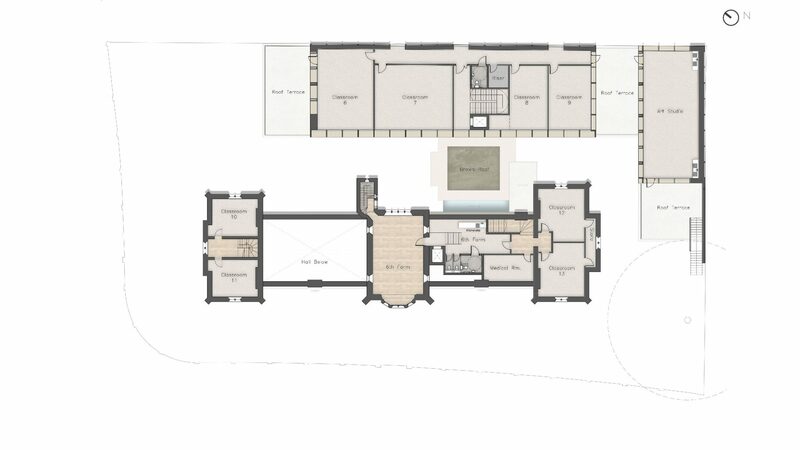 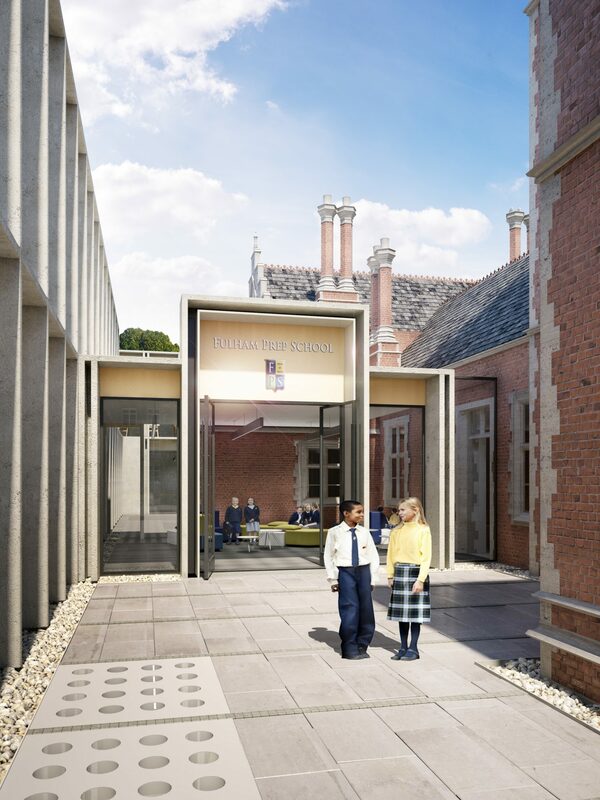 A proposed, sympathetic modern extension will also introduce the requisite additional floor space needed to bring the building up to modern schooling standards. 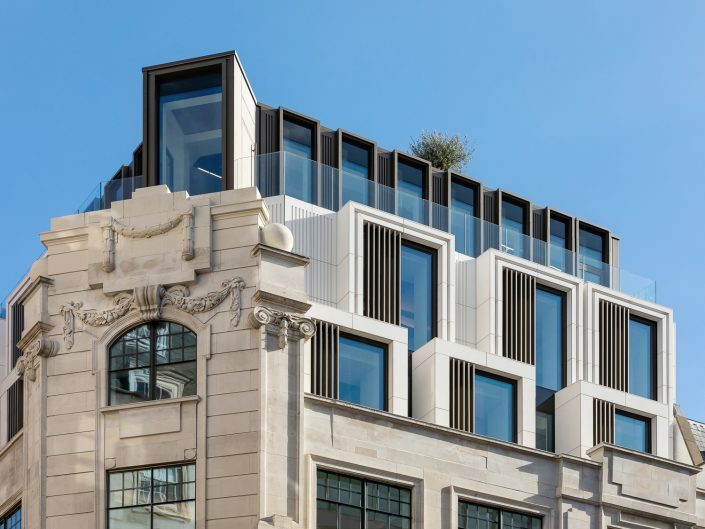 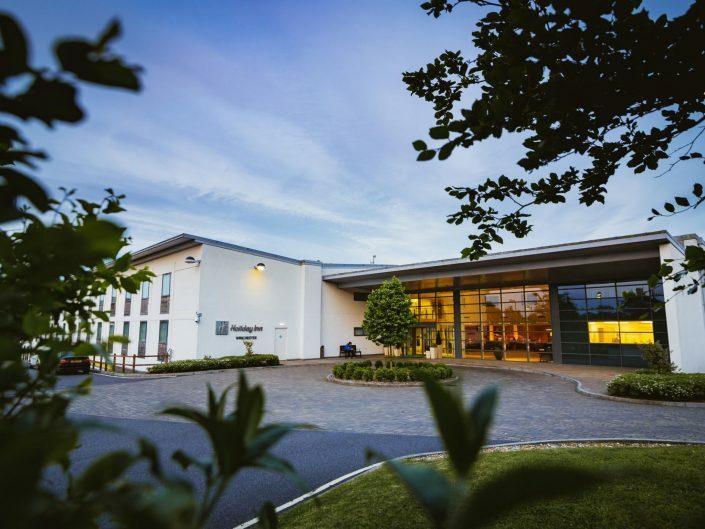 This considered and complementary expansion unlocks the development so that the revitalised listed building can function as a secondary school for 300 pupils, with a local institute selected to occupy the building once complete. 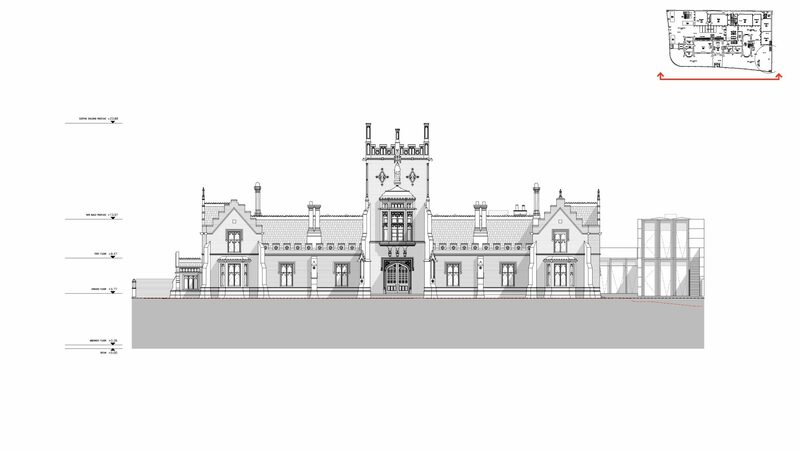 The design will reinvigorate and reinstate a local landmark building, while fully respecting and retaining the school’s historic character and principal architecture. 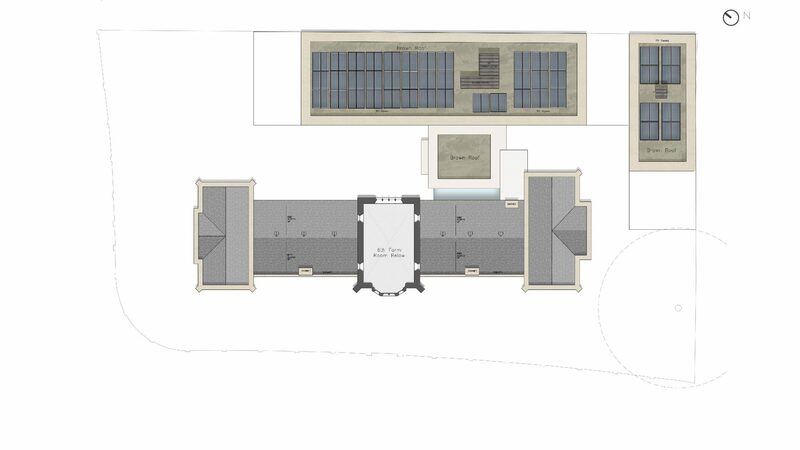 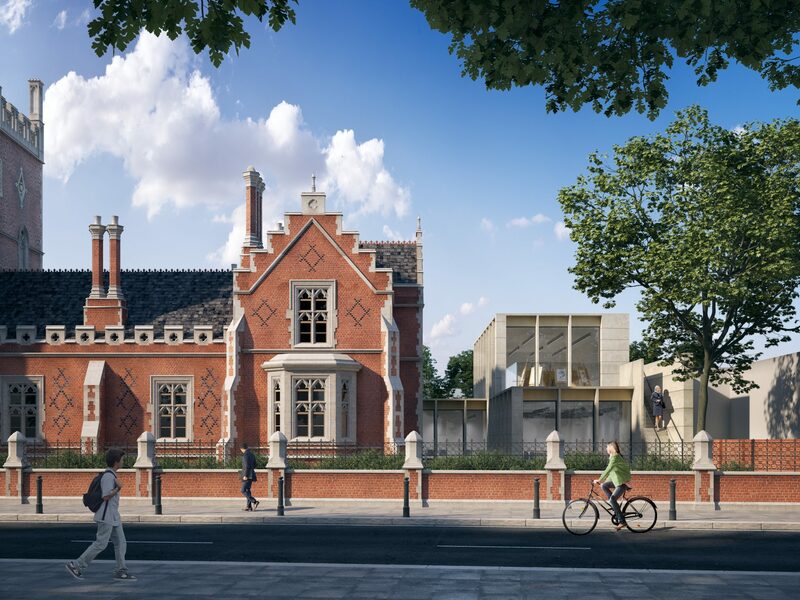 The new extension is designed to sympathetically integrate with and mirror the school’s massing, carefully unifying both historic and contemporary design, and further enhancing the existing streetscape in this conservation area. 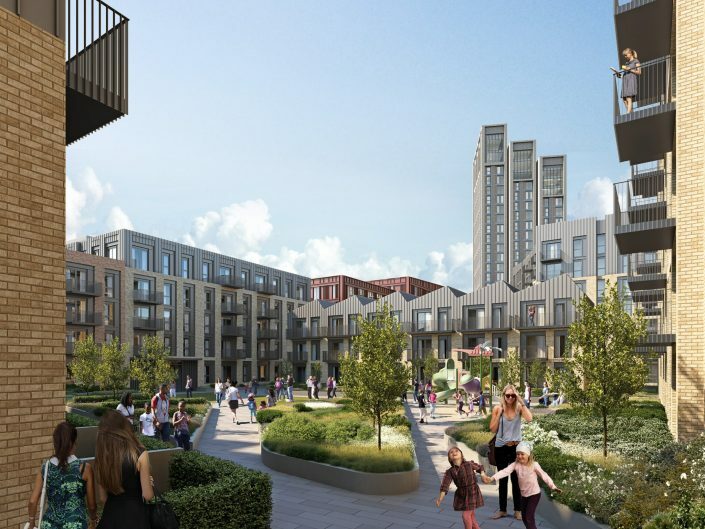 A thorough consultation process including pre-application discussions with the council, public consultations and a Design Review Panel have all been undertaken, and a decision on planning is expected September 2017. 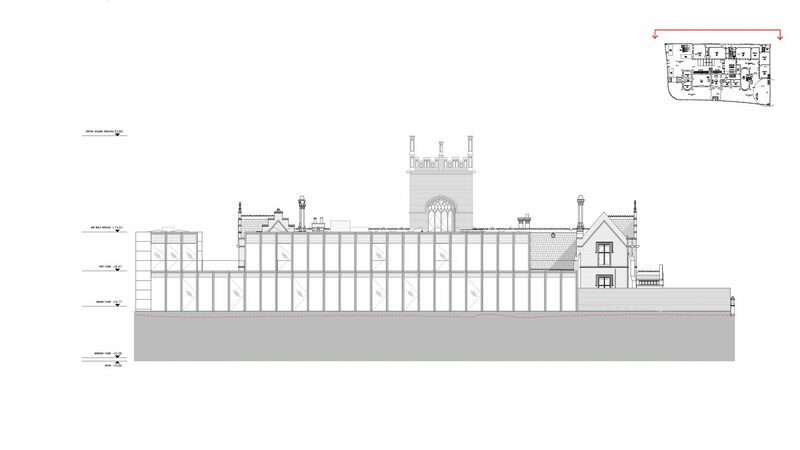 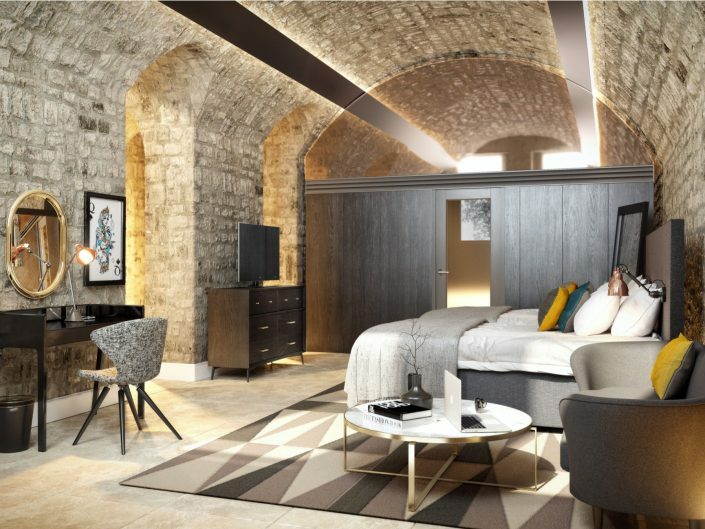 Subject to planning consent, work on the Castle Club is expected to commence September 2017 with completion by June 2019. 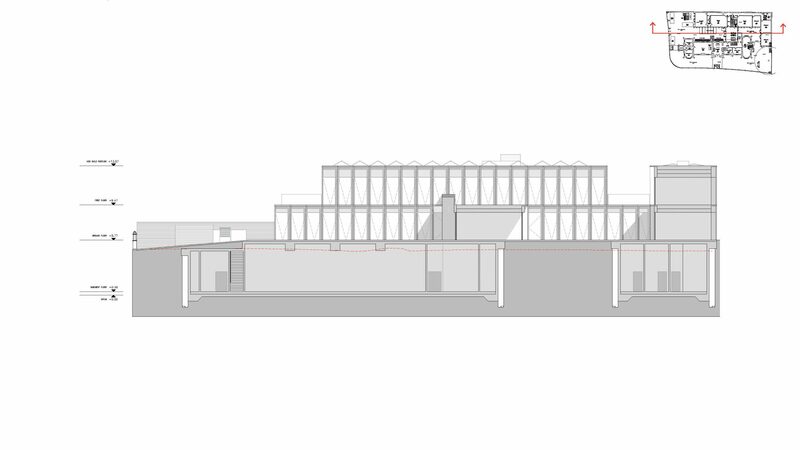 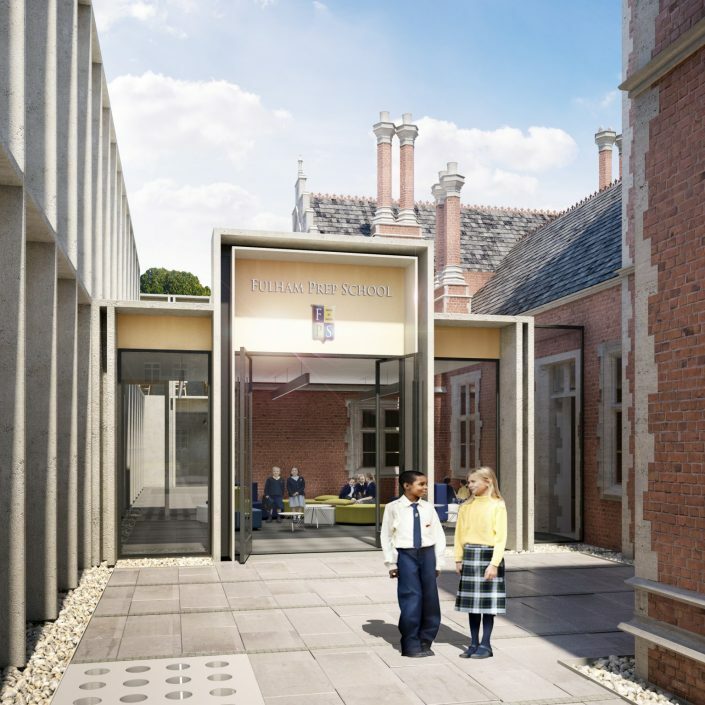 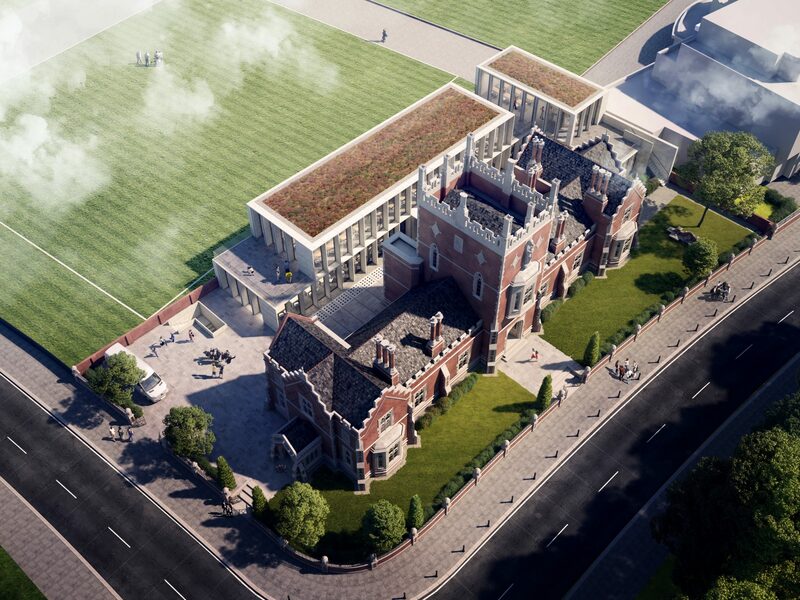 "These proposals will restore a much-valued local landmark, as well as providing a home for Fulham Prep School’s new Senior School."